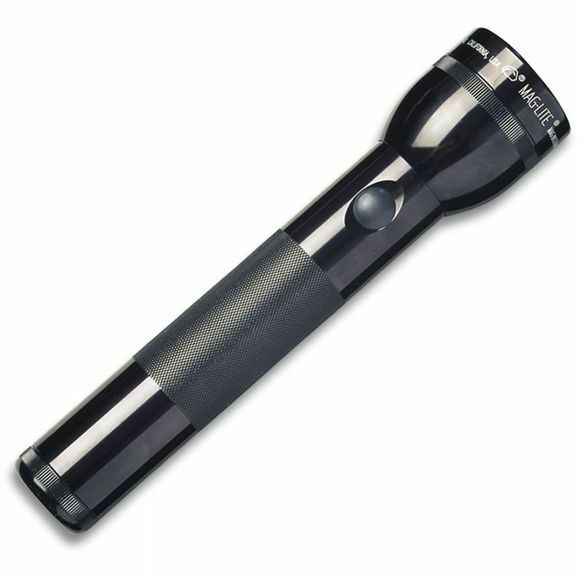 The Mag-Lite 2D Maglite is used by more outdoor professionals than any other torch. The number of D cell batteries required dictates the length and light life of the torch. e.g. 2D Maglite requires two D cell batteries. Water resistant and shock resistant, it has a rugged, machined aluminium construction and is anodized inside and out. It also has a high-intensity adjustable 36.5 lumens light beam, as well as a spare lamp safely secured inside the tailcap. Weight 674g. Length 25.4cm. Battery life up to 10hrs (2xD size alkaline batteries).